Joan Davison is CEO and President of Mestel & Company, a role she was appointed in 2017. 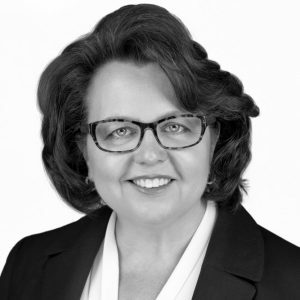 She brings 28 years of valuable experience, with specific expertise in operations management as well as business development, marketing, recruiting and staffing. She spent 18 years at Staff Management | SMX (a TrueBlue Company), a global provider of contingent workforce solutions, where she rose from Director of Operations to President, COO and significantly increased sales growth, optimized processes, and developed long-term strategic plans. Most recently, Joan served as the CEO at Focus Logistics Transportation, an international freight delivery company. Her previous experience also includes leading the overall operations for Forward Mobility Relocation Services, a national relocation consulting firm. Throughout her career, Joan has been recognized for her leadership and transformational management. She has been named in the Top 100 Most Influence Executive in Staffing by Staffing Industry Analysts and has received the Gold Stevie Award in the Executive of the Year – Business Services category. Joan is a featured industry speaker and regular contributor to industry publications. She is a member of Vistage CEO group. She also served as a Board Member of SeatonCorp and FLT. Joan earned her B.A. in Business Administration and Management from Saint Xavier University in Chicago, IL. Joan lives in the suburbs of Chicago with her family. She is an avid Chicago sports fan, a traveler and an aspiring gardener.